most anglers as the Farm 13/Stick Marsh, is a 6,500-acre impoundment located along the east coast of central Florida in northwest Indian River County. The Stick Marsh/Farm 13 was created in 1987 and opened to the public around 1991. Water depths range from 4 to 8 feet. Boaters unfamiliar with the area are heavily advised to navigate to fishing locations with extreme caution due to the number of man-made and natural hazards, like stumps that this place presents. 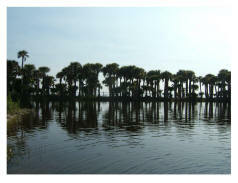 Facilities include a double lane concrete boat ramp, air boat launch site, restroom and paved parking lot. Closest towns/cities are Melbourne, Palm Bay, Vero Beach, Sebastian and Fellsmere. No gas, food or bait available on site. Popular sport fish include largemouth bass, bluegill, redear sunfish, black crappie and several catfish species. Angler surveys conducted between January and April 2007 of this year did indicate a noticeable drop in effort, catch and success for all sport fish including bass. 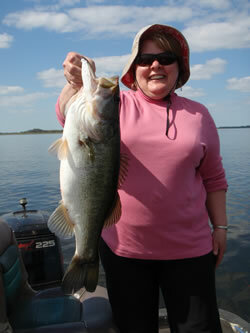 This time of year, the diet of largemouth bass typically consists of threadfin and gizzard shad. Artificial lures that imitate shad, including top-water, shallow-running, and deep-diving crankbait, should be angler's’ best bets. As always, golden shiners are the live bait of choice for anglers searching for trophy bass, followed by plastic worms. If you want to catch big fish and fish where big fish are! Stick Marsh - Farm 13 is prime waters for the trophy largemouth bass fishing. Many catches in the 10-pound range are taken each year. Come join us for the trip of a lifetime. You have earned it!